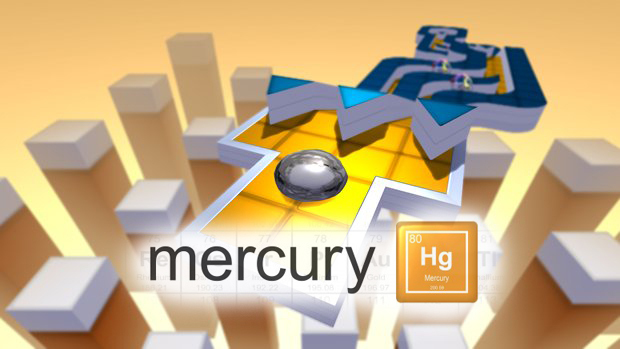 Recently released on both the Playstation network and on the XBox Live marketplace we have this little gem of a puzzle game, Mercury Hg. You remember those little games you used to get as a kid, where you had to roll all the little stainless steel balls into the holes by tilting the puzzle? Well that is the same basic principal here, with one key difference. 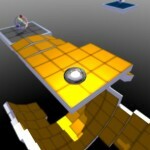 You are in fact rolling around a glob of Mercury, this opens up a lot of possibilities. 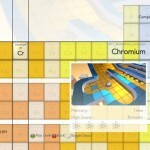 The whole level select screen is actually based on the real world periodic table, great excuse, you can at least say you’re doing your science homework. This game does require to to really give some of the later levels a lot of thought. 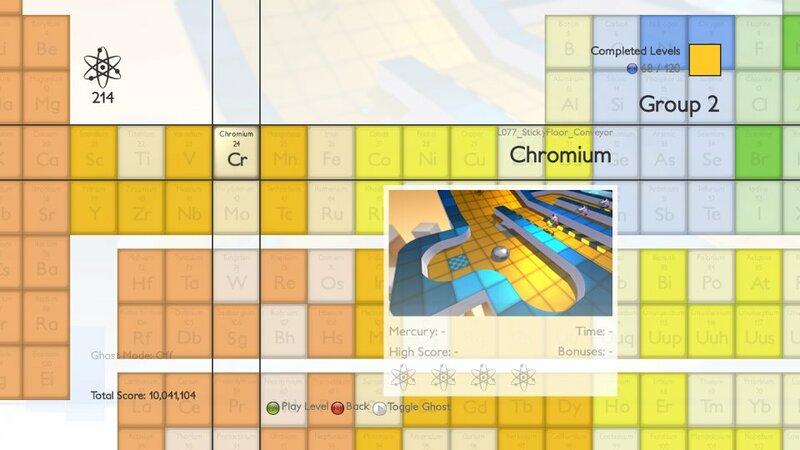 For example as you get into the game you’ll notice that there are some barriers that will only allow mercury through that is a specific colour. This is all well and good and starts off simple, but at times you will need to find a way to split your glob into two, somehow figure out how to get each blob under two different colour droppers and then combine them. This has the effect of mixing the colours so you should be able to create the desired colour to progress. 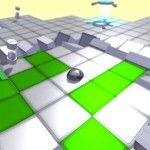 This puzzles can get seriously tricky and while you do get rewarded for completing levels inside a certain time, you can take as long as you like just to pass the level. 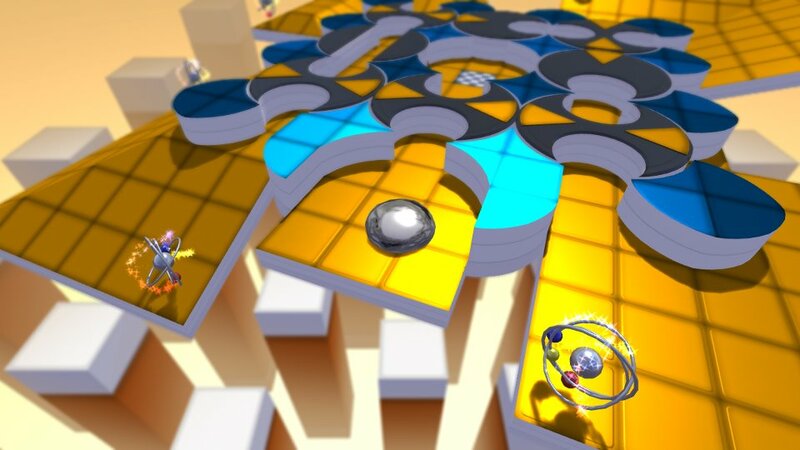 One other thing you need to take into account with the levels is that if you tilt the world to move your glob, you will potentially move other objects located on the level. This can have the effect of blocking your path if you’re not too careful. It really does start to get complicated trying to keep track of however many globs of mercury you have and anything else on the level that you interact with. Now this does all sound very complicated, even having played the game myself. Thankfully there are some very handy tutorial levels available to help you get to grips with the whole concept. Now this game also has a little feature I really love to see in games. You are in fact encouraged to play your own soundtrack while playing the game. This is probably a good thing as the built in soundtrack is maybe lacking a little life. The entire game world and background reacts to your music like a graphic equaliser, now while this doesn’t directly affect game play it is just one of those features which is a bit of a nice addition. 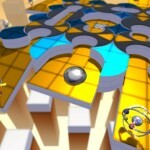 If somehow you’ve had enough of playing through the copious amounts of levels yourself, you’ve got a few more modes you can jump into. 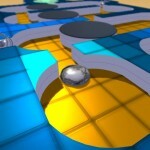 Challenge mode sets out a specific goal for a group of levels, if you fail out of a level you need to start the challenge from the very first level, so no pressure at all. Then on top of that the game has full leader board integration. 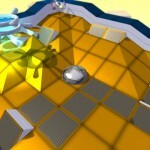 Every good puzzle game needs leader boards, so you can at least see how you rank up against your friends. You can even download a ghost to race against. In short this game is actually great value for money considering the price point of just 400MS Points (£3.40). For just that you get a decent puzzle game with bundles of levels and challenges and actually requires quite a bit of thought. 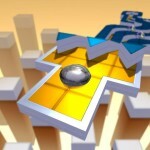 I’m not saying this game is for everyone, but if you like little puzzle games it’s a great addition to your library. Why not check out the screen shots below and at least give the trial ago. 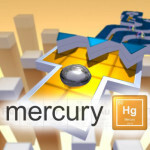 Mercury Hg is a great little puzzle game, very innovative and requires a delicate and thoughtful hand to master. And with plenty of levels and content in there it’s definitely worth the 400 MS points.